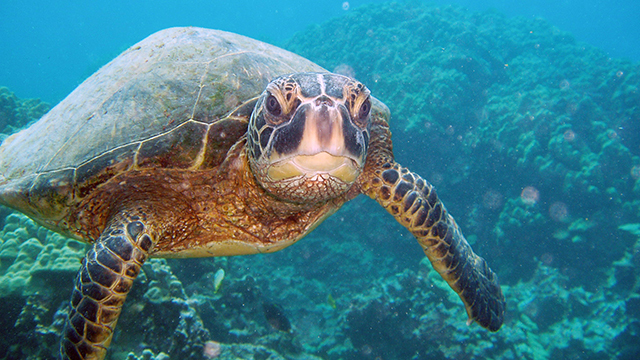 The NOAA Office of National Marine Sanctuaries aims to provide teachers with resources and training to support ocean literacy in America's classrooms. You will find curriculum, lesson plans and activities that will excite your students about science and technology. This communication toolkit is designed for educators and communicators to use to teach others about the impact of ocean acidification on Dungeness crab. All schools are invited to participate in Zero Waste Week, March 21- April 22. During this campaign, students focus on reducing land-based waste in order to protect the health of local marine environments. Register now! Go Green and Think Blue! 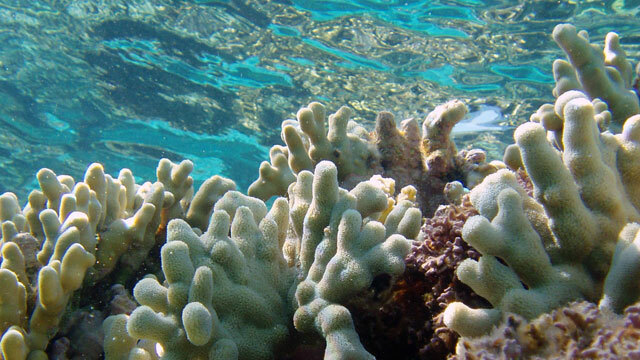 This webinar series will provide educators with educational and scientific expertise, resources and training to support ocean and climate literacy in the classroom. 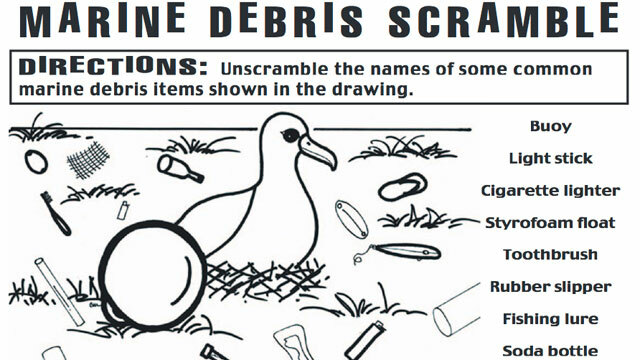 This toolkit is designed to assist teachers in educating their students about marine debris and involving them in marine debris research and outreach. 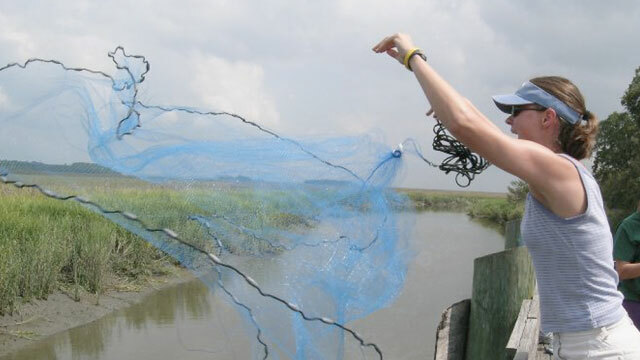 Using the toolkit, students conduct marine debris surveys and can enter their data into a national database, analyze monitoring results, and become involved in marine debris stewardship within their communities. 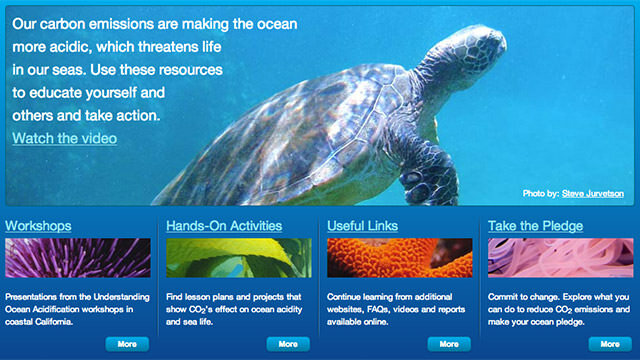 Monitor National Marine Sanctuary offers a variety of free activities, lesson plans and guides for educators, including social studies activities, as well as science, technology, engineering, art and math. 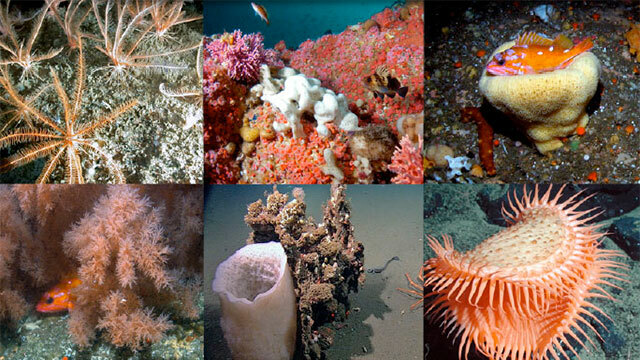 Deep-sea coral communities, like the ones found in the national marine sanctuaries of the West Coast, are home to many diverse species. 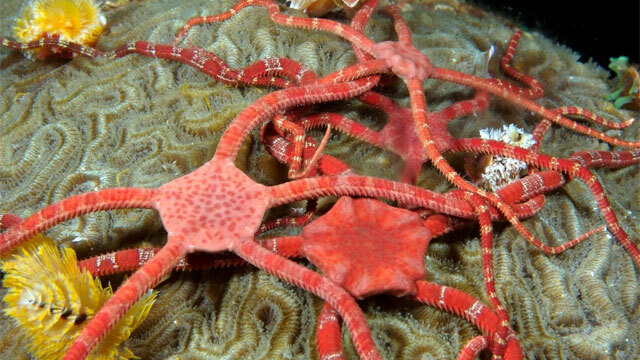 This curriculum takes students into the deep sea to identify the soft corals, hard corals, invertebrates and fish found in these communities and to investigate the unique biology of deep-sea corals. 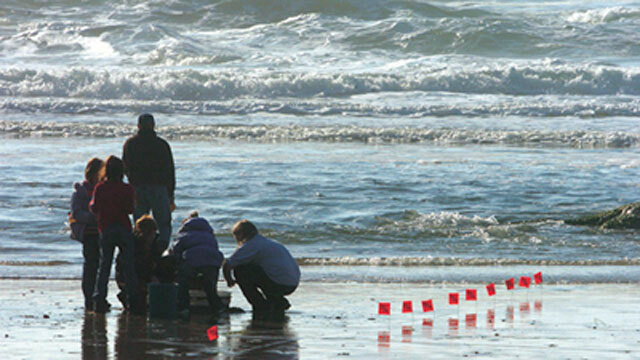 The Farallones Marine Sanctuary Association has developed a seven-unit Coastal Ecosystem Curriculum for grades 9 - 12 that focuses on the open water and intertidal habitats in Greater Farallones National Marine Sanctuary. Teachers and educators who attend our teacher workshops receive this curriculum and all associated classroom activities. 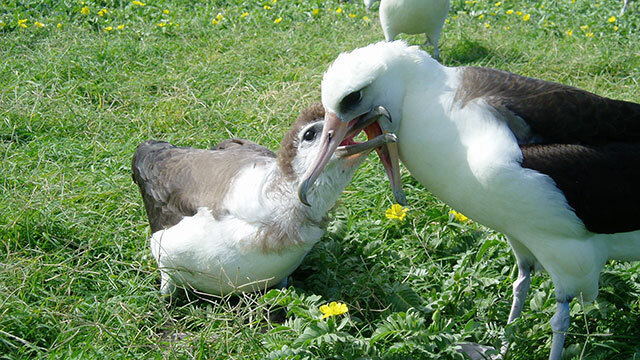 Albatrosses, charismatic and threatened seabirds, are ambassadors for a clean ocean. 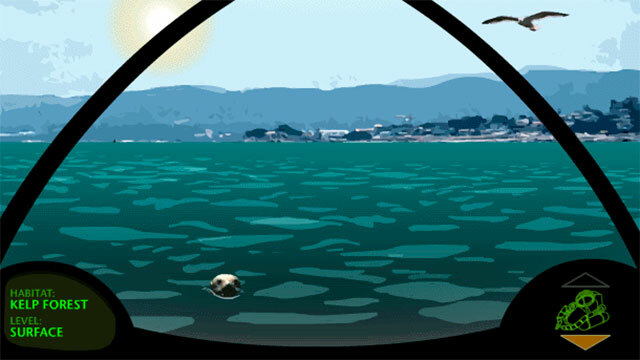 They traverse vast oceanic regions searching for floating food. 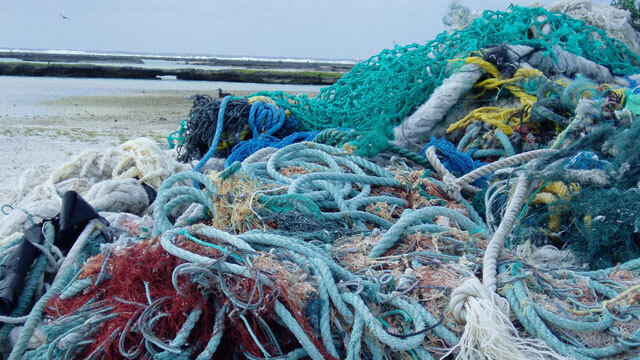 Along their journeys, they ingest plastic trash and are hooked in fisheries. These five lessons use inquiry-based science instruction, aligned to standards for grades 6 - 8 with extensions for grades 9 - 12. 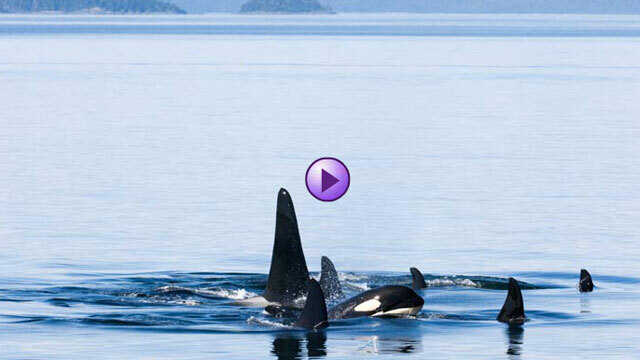 In this lesson, students will learn about the national marine sanctuaries. 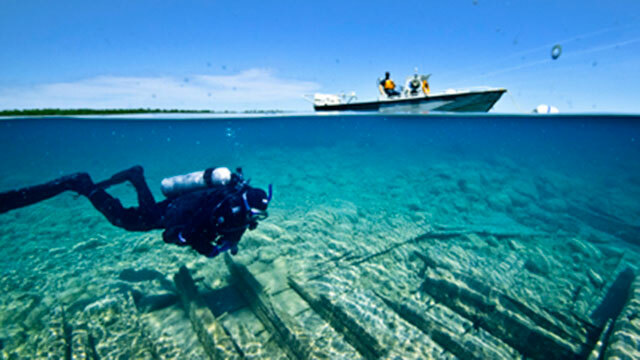 They include breeding and feeding grounds of whales, sea lions, sharks and sea turtles; significant coral reefs and kelp forest habitats; and the remains of the USS Monitor, a Civil War ironclad sunk off the coast of North Carolina. 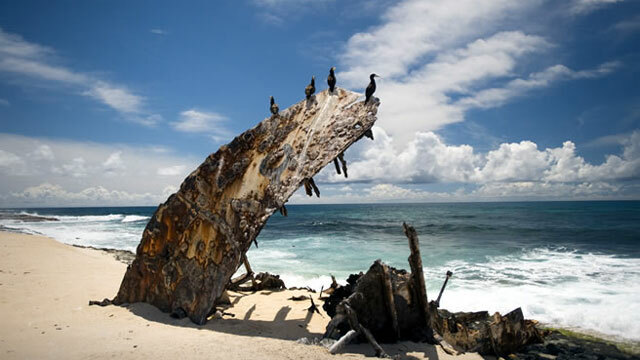 This lesson provides an opportunity for students to learn about environmental problems in the ocean and how marine sanctuaries can help protect ocean habitats. 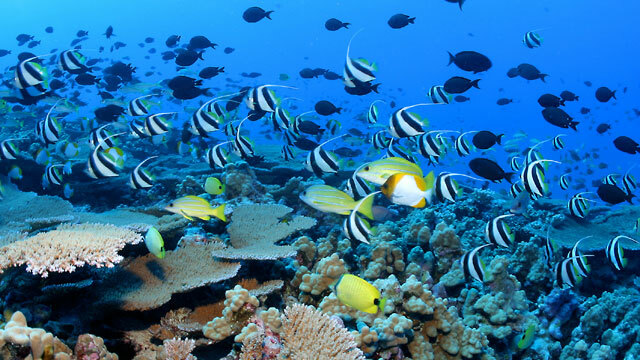 Students will use National Geographic's Wild World Global 200 feature to learn about marine eco-regions and the environmental problems they are facing. 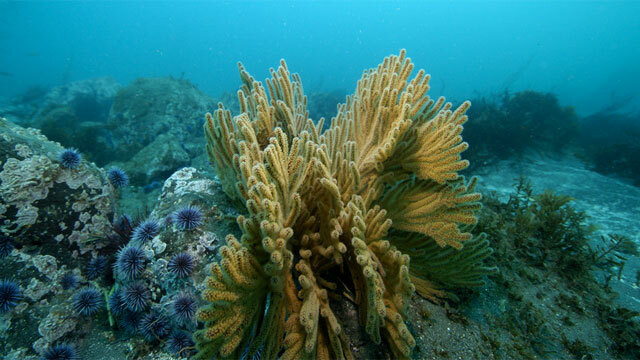 An activity describing the natural and scientific processes involved in paleoclimate research using coral cores obtained from Flower Garden Banks National Marine Sanctuary. 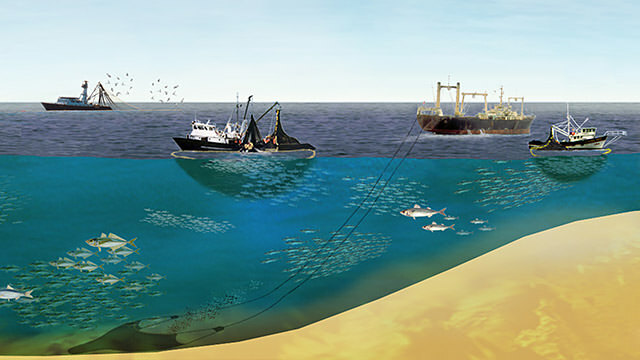 How does the human population affect the population of marine species? 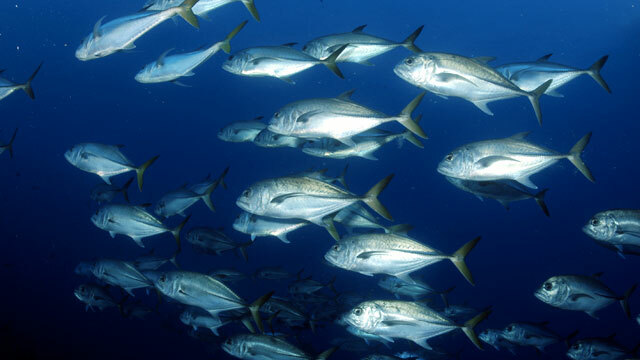 What can citizens do to sustain seafood populations? Have your students learn more by conducting this grades 6 - 8, standards-based lesson plan. 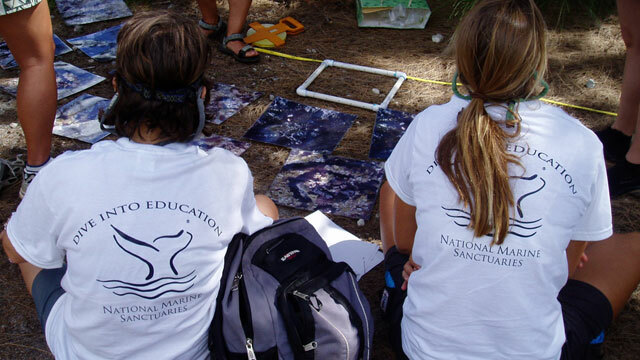 This activity from Flower Garden Banks National Marine Sanctuary is designed to give students a sense of the real-life science being used to conduct long-term monitoring of habitats in the sanctuary. 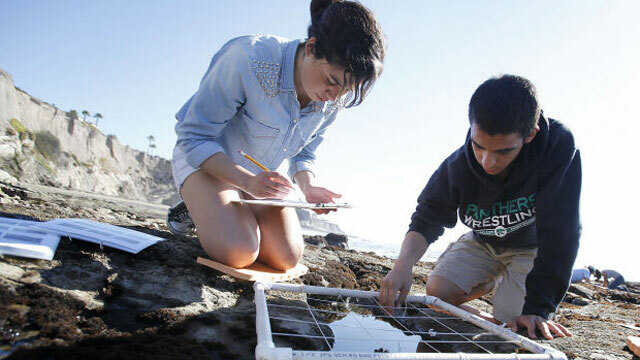 This curriculum will increase students' understanding of science and geography. 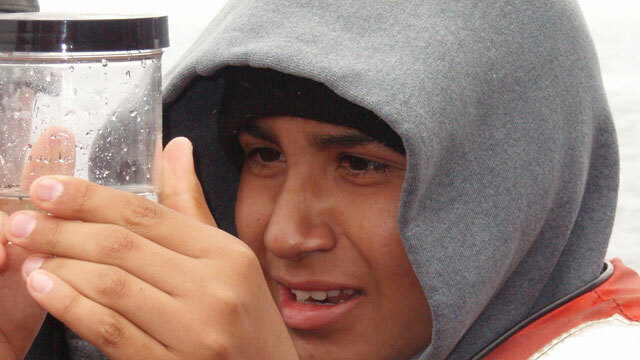 Greater Farallones National Marine Sanctuary's At Your School programs in San Francisco bring the ocean to your classroom. They have programs for K - 12 that encourage your students to discover the wonder of ocean science without leaving the school grounds. 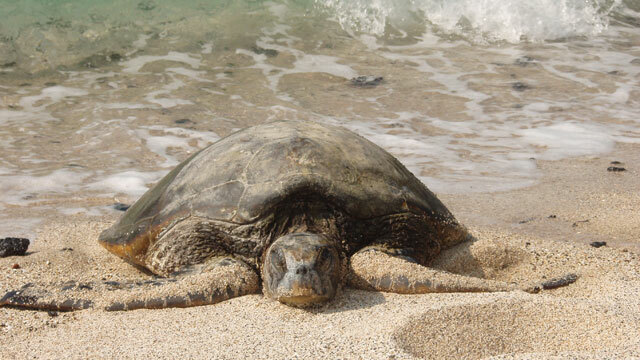 Students will participate in discussions and role-play to learn the hardships of baby Green Sea Turtles. 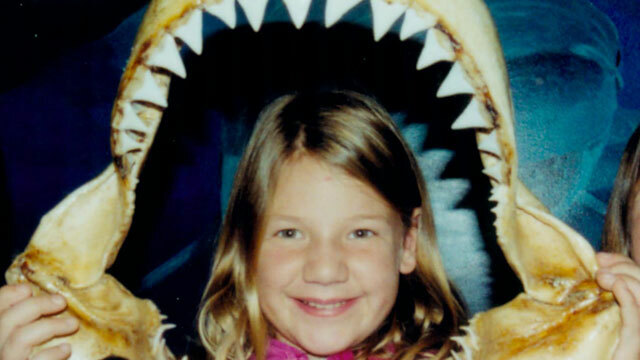 The students will learn about the low survival rate due to natural predators and man. 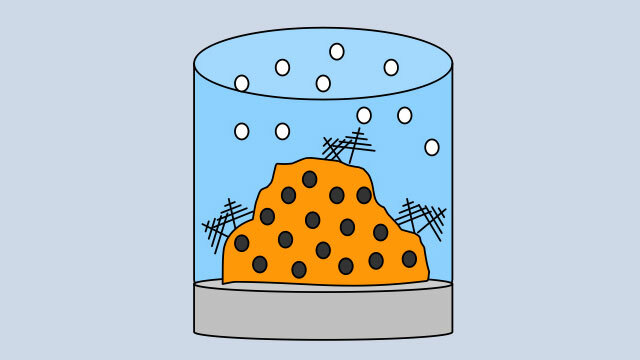 Students will learn about the evolution of a volcanic island from origin to erosion. 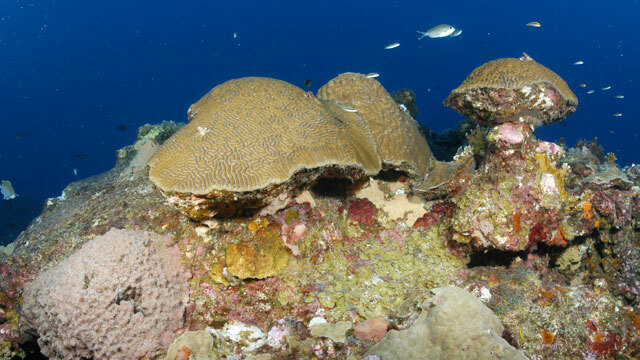 They will be able to determine the relative ages of the Northwestern Hawaiian Islands given their position in the archipelago. Learn how to create and see samples of program evaluation plans and an environmental education literature review. There are also tools and techniques for evaluation, examples of objectives and goals, an evaluation glossary and an online resource guide to evaluation. Teach your students the seven essential principles of ocean literacy with these colorful and engaging cards that can be used following the "Each One, Teach One" methodology. The movie "Nim's Island" tells the fictional story of an adventurous girl named Nim, who lives on a remote island in the South Pacific. Check out the fun educational resources related to this movie. 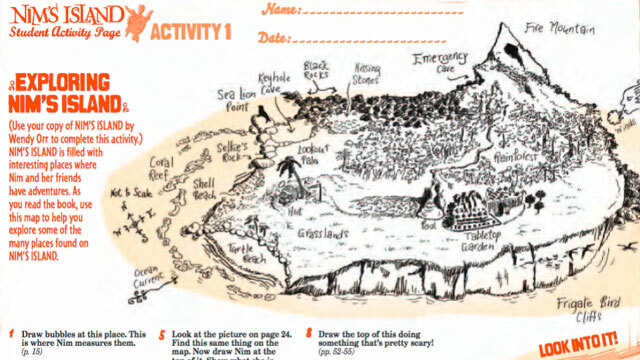 This activity book teaches students the about the seabirds and shorebirds that live in and migrate to Hawaii (pdf, 3.7MB). You can also visit the Hawaiian Islands Humpback Whale kid's page to download fun activities and posters. 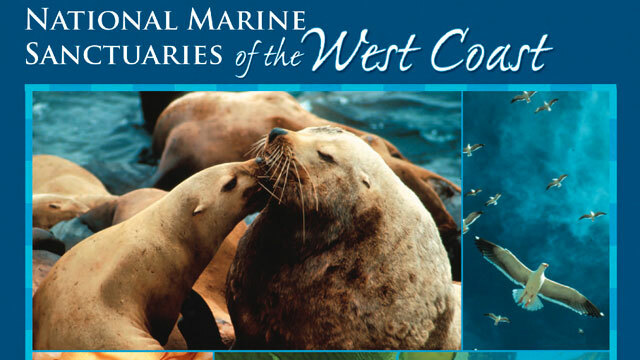 Learn more about the National Marine Sanctuaries of the West Coast through this downloadable west coast field guide. 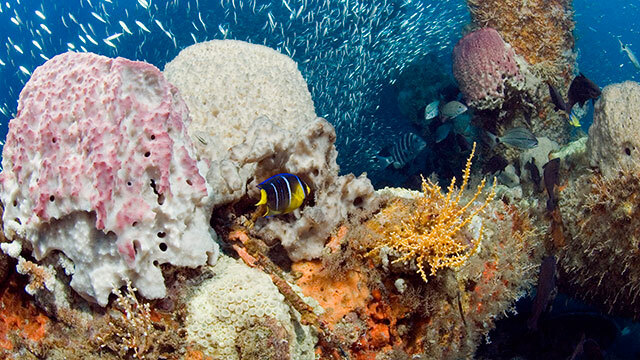 Explore the habitats, wildlife and culture of these five sanctuaries, and how they are all interconnected by ocean currents. Also discover how to practice daily conservation and get involved. 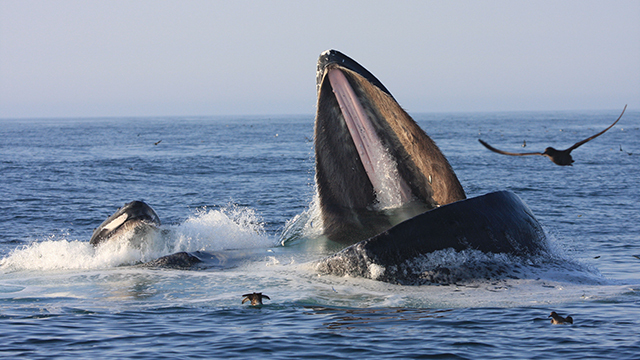 In this online guide, you will find photos, streaming video and important biological information for over 100 marine species from each of the national marine sanctuaries in the United States. 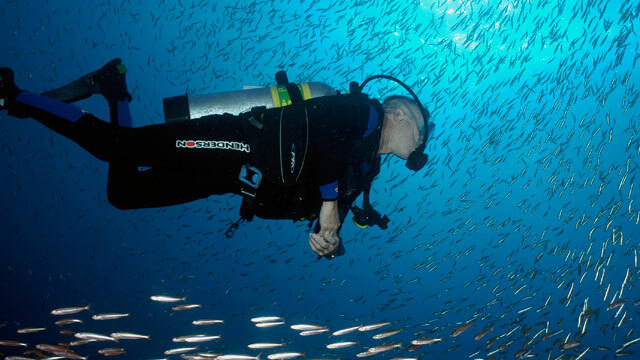 Check out Jean-Michel Cousteau's "Ocean Adventure" as KQED continues to produce short videos appropriate to bring the ocean into your classroom. Take a virtual tour of Monterey Bay National Marine Sanctuary using a single-person submersible, called DeepWorker 2000. 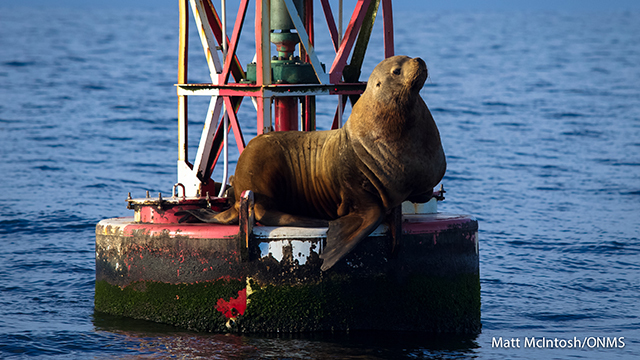 Explore the canopy of a kelp forest and watch sea lions dart by in search of food. 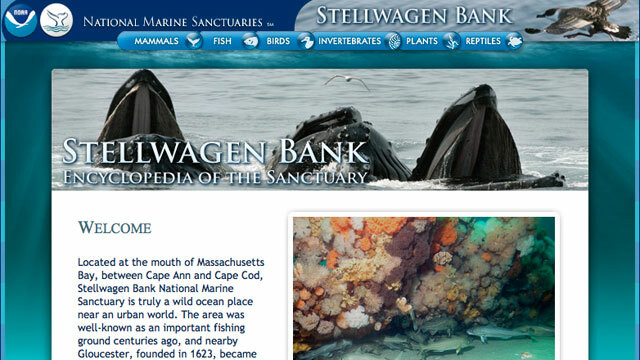 This virtual dive was developed in partnership with the National Geographic Society. 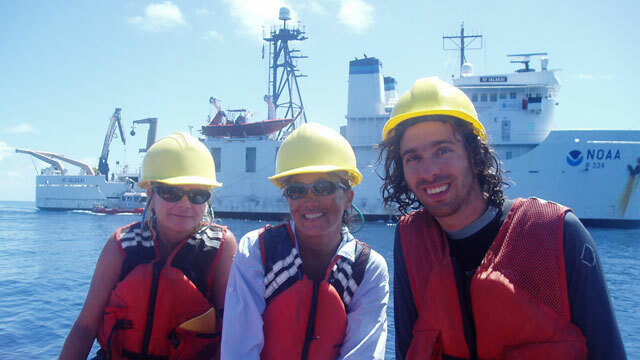 Dive into Education ocean science workshop provides teachers with educational expertise, resources and training to support ocean and climate literacy in the classroom. 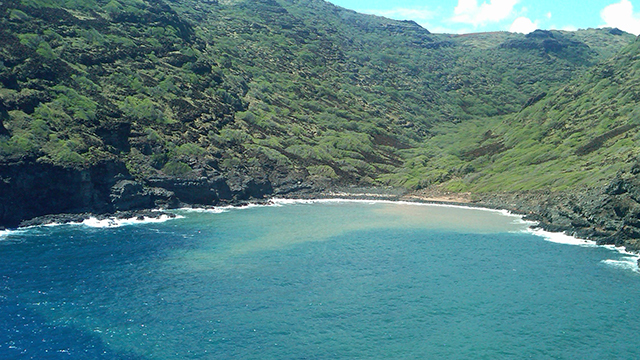 Workshops have been held in Hawaii, Georgia and American Samoa. Check out the archive to find out more. 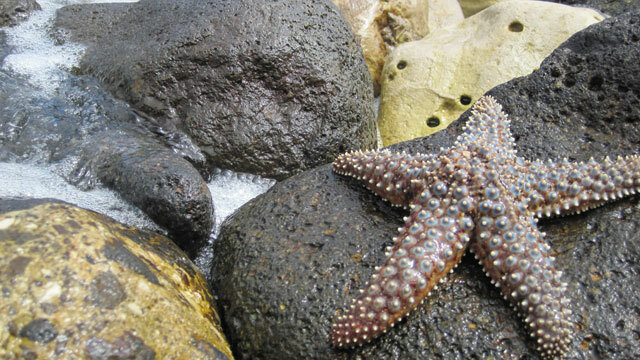 Are you interested in learning about rocky intertidal and sandy beach monitoring techniques? 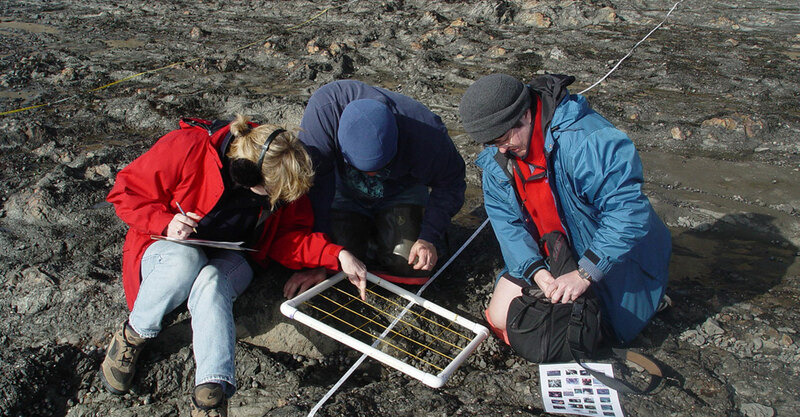 Would you like to set up a field monitoring site with your students? If so, check out the professional development opportunities we have available. 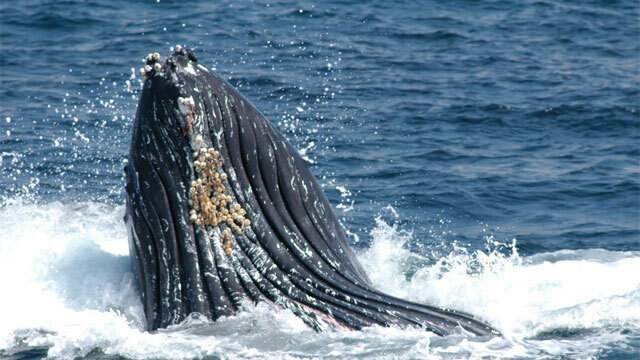 Are you interested in tracking ocean animals live in your classroom? Students use Earth imagery to explain the movement of animals that are tracked by NOAA's operational satellites. Find out more about the ACES Program, by contacting Jenny Stock. The annual Down Under, Out Yonder (DUOY) workshop is for K-12 and college entry educators nationwide. 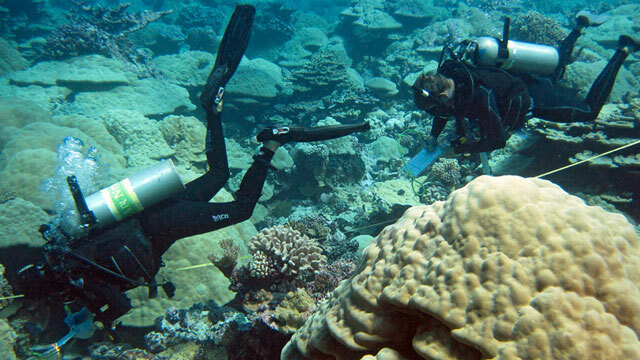 DUOY is a five-day teacher workshop that includes a two-day land-based workshop and three days of scuba diving in Flower Garden Banks National Marine Sanctuary. This week-long teacher workshop led by the Georgia Aquarium and NOAA's Gray's Reef National Marine Sanctuary staff immerses teachers into the watery world as they learn about watersheds, water quality, current aquatic issues and river, marsh and reef ecosystems. Check out the 2010, 2011 and 2012 mission logs from the workshop. 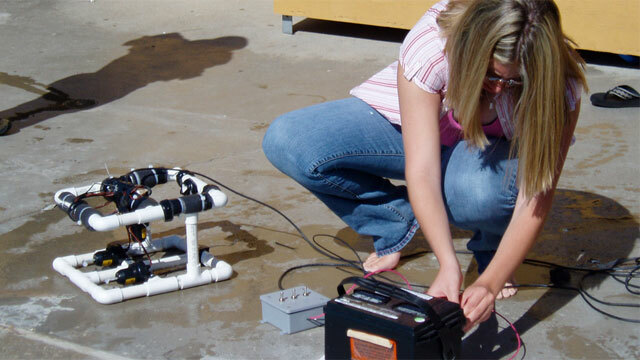 Support STEM during this hands-on workshops where teachers build their own Remotely Operated Vehicle (ROV) from PVC pipe and other materials while learning about ROV technology and its applications. 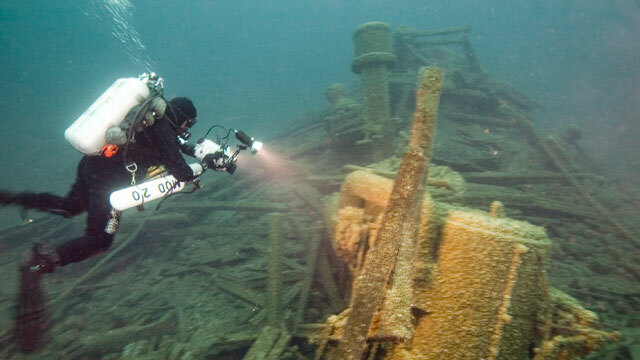 These workshops occur at Gray’s Reef, Thunder Bay and Monitor national marine sanctuaries. MERITO Foundation and change text to: MERITO is dedicated to protecting the ocean by facilitating education, conservation and scientific research opportunities for multicultural youth and their communities. A conference that brought together formal and informal educators to promote the sharing of maritime related education partnerships, programs and products. Teachers can enrich their classroom curricula with a depth of understanding made possible by living and working side-by-side, day and night, with those who contribute to the world's body of scientific knowledge. 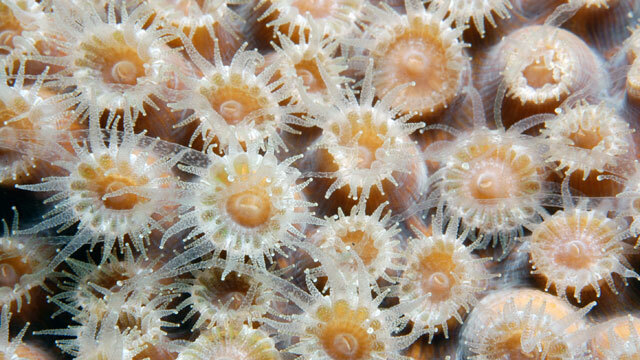 The Ocean for Life program is an initiative to increase cultural understanding through ocean science. 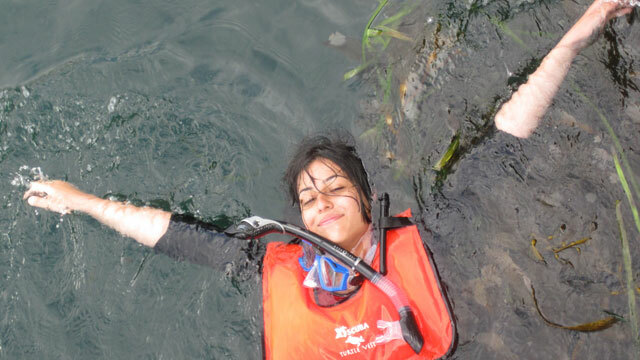 Ocean for Life provides high quality, immersive ocean field studies and follow-on education programs to facilitate cross-cultural learning, appreciation, and lasting experiences between Middle Eastern and Western students. 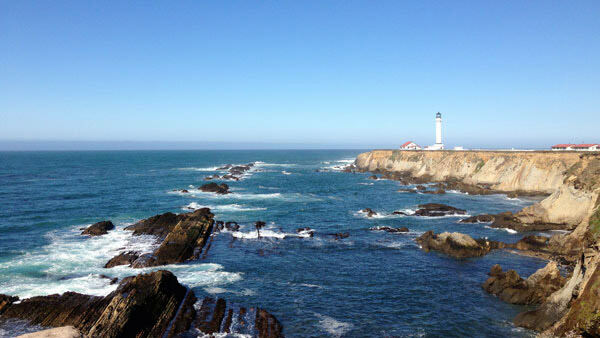 All schools and classrooms in the United States, no matter where they are located, have an impact on our global ocean. Even if your classroom is thousands of miles from shore, learning to live, work and play in a sustainable way protects your local watershed that eventually drains into the ocean. 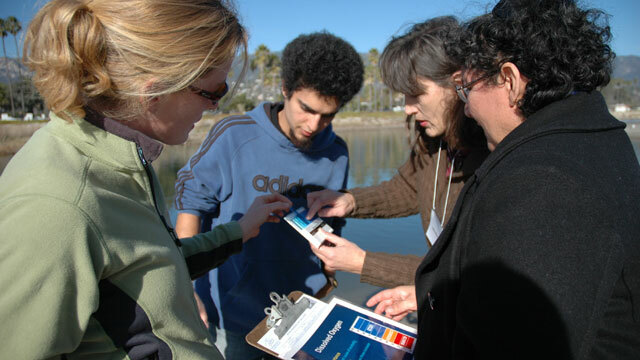 LiMPETS is an environmental monitoring and education program for students, educators and community members throughout California. 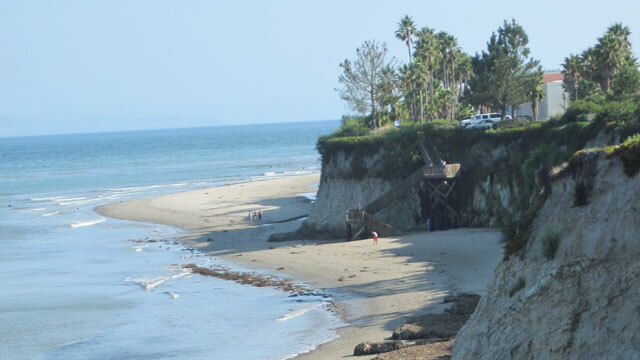 These citizen scientists are collecting rocky intertidal and sandy beach monitoring data in the name of science and help to protect our local marine ecosystems. NOAA B-WET is an environmental education grant program that promotes meaningful watershed educational experiences in the K-12 environment. B-WET currently serves seven areas of the country: California, Chesapeake Bay, Gulf of Mexico, Hawaii, New England and the Pacific Northwest. 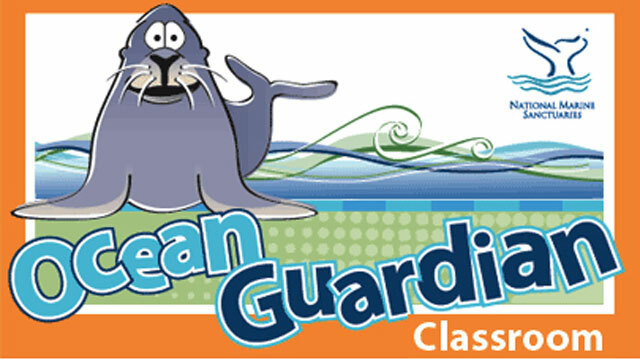 An Ocean Guardian School makes a commitment to the protection and conservation of its local watersheds, the world's ocean and special ocean areas, like national marine sanctuaries. Grants range in the amounts of $1K-$4K per school depending on the level of the project and funding year.